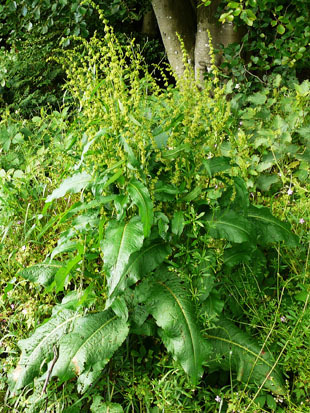 Broad-leaved Dock is a native, perennial herb, growing up to 2m. 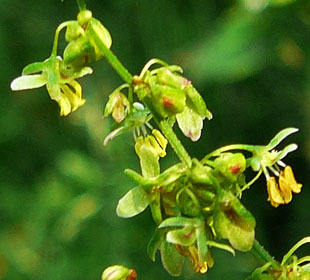 Flowers are in whorls, each with 3 triangular to oblong tepals. 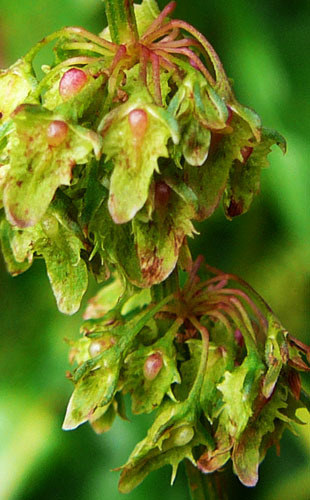 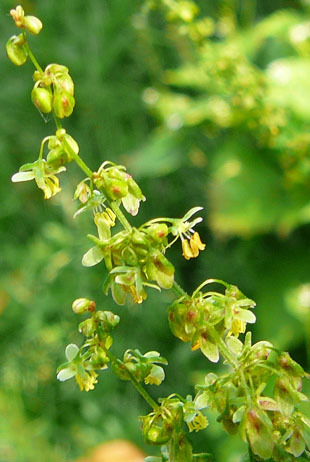 In Broad-leaved Dock only one of the sides develops a wart. 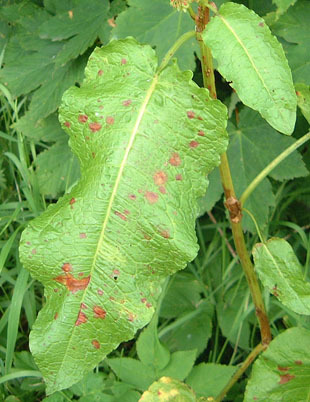 Basal leaves are large and heart shaped – up to 15cm. 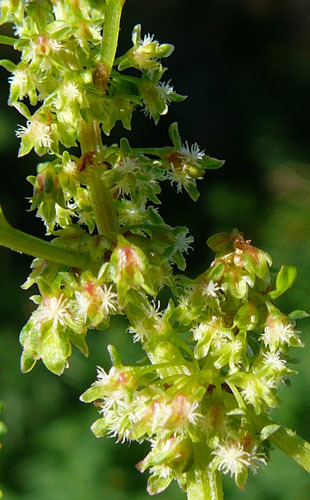 Upper leaves are ovate to lanceolate, reducing in size up the stem. 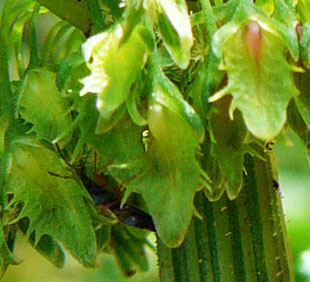 Stems are stout, erect and branched.